EVERY YEAR AS a child, Halloween meant one thing to me – loads of sweets during a week off school. The Halloween costume was a completely separate issue. It was usually left up to my mam to fashion together some sort of last-minute witch or monster outfit, using a mask from the local Tuthills and whatever black items were lying around the house. Maybe a hole or two would be added if you were going particularly gothic. It was rare to see a store-bought costume back in the nineties, but sure all you wanted them for was the trip up the green to watch the fireworks display someone’s dodgy dad bought on Moore Street. The black sack may not have looked like much to today’s Spidermen and Wonderwomen, but it signified a complete transformation to six-year-old me. Was I a witch? Was I a goblin? It really depended on whether I picked up a brush or not. Did it really matter, once I could knock on doors and people would give me sweets? We won’t talk about the monkey nuts houses, they’re not worth the time. Most kids in the neighbourhood would have a similar attire, so competition was practically null. We all oohed a bit at the kids with their mam’s makeup on instead of a mask, but they were the lucky ones. The black sack needs to be brought back. It was foolproof. Now, if your kid isn’t dressed up as the latest viral meme, you’ve failed. Who even has the time? 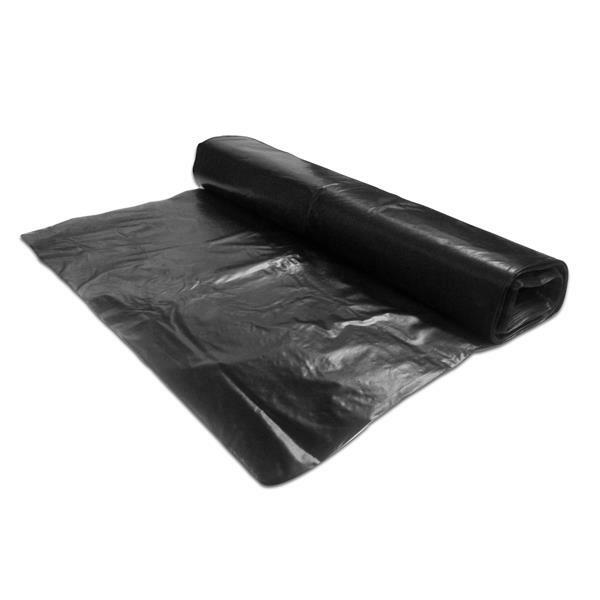 Who remembers a black sack put around you for Halloween and told you were dressed as a witch?? Lol!!! #timeshavechanged Happy Halloween!! Was this just my mam being lazy? GOD NO. The water from bopping for apples would glide right off you. Your ma wouldn’t kill you if you got it dirty. It literally cost about 5p to make. You could just throw another mask on and trick or treat the same house twice. Sure everyone was doing it. It kept you nice and warm. You haven’t experienced heat until you’re clambering from door to door with a bin bag sticking to your arms. You genuinely felt like the scariest child that ever graced your estate. Isn’t that the true meaning of Halloween after all? Scared children with cavities? It might be pointless, even cruel, to attempt to throw a black sack on your kid and call them a witch. But when your little Buzz Lightyear lashes out an app to Deliveroo his trick or treating sweets to him, you’ll probably wish you kept costs down. I mean, once the issue of the costume is out of the way, you can fully focus on finding the houses that give you the full sized bars. Email “An ode to the traditionally Irish 'black sack' Halloween costume ”. Feedback on “An ode to the traditionally Irish 'black sack' Halloween costume ”.